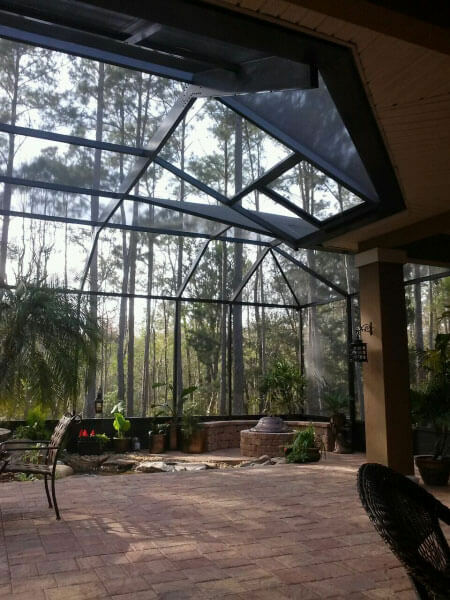 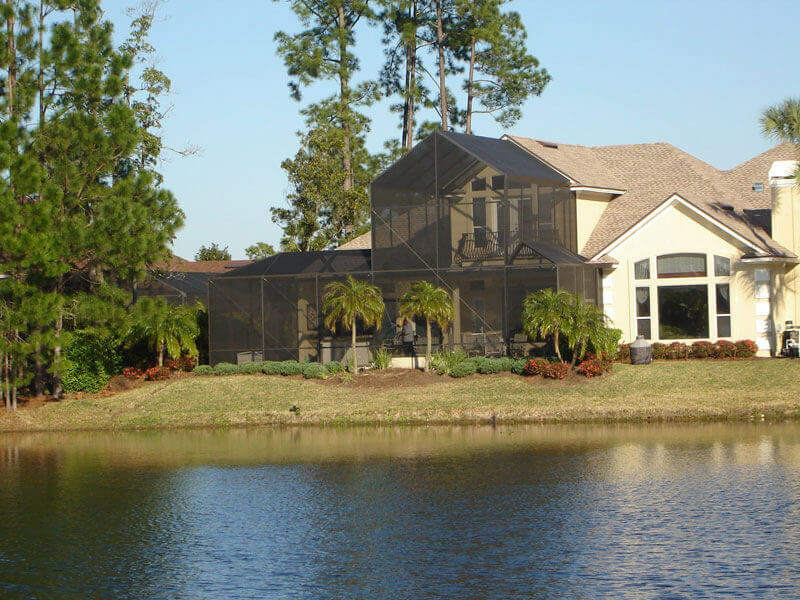 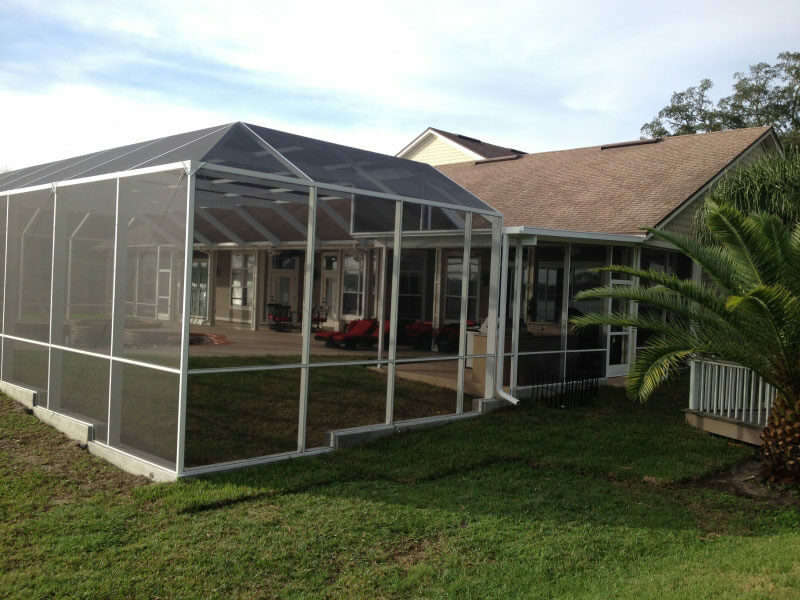 We’ll build the perfect Screen Enclosure for your house. 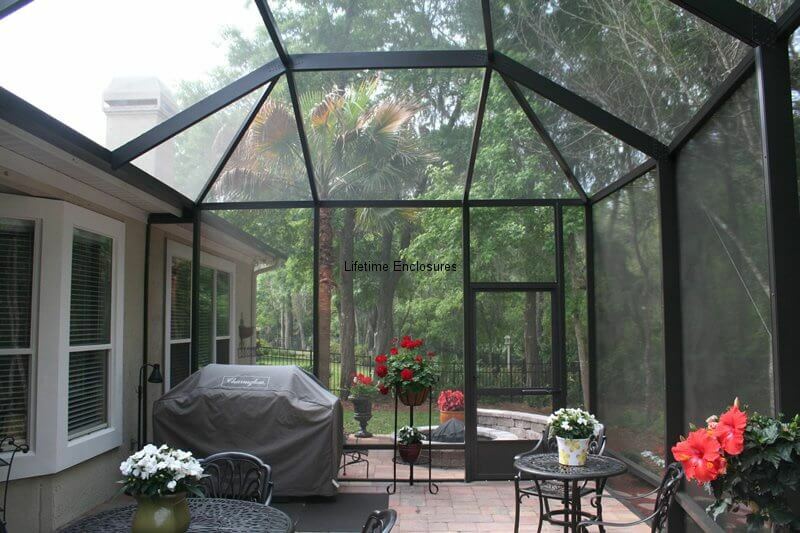 Imagine looking out into the outdoors without worrying about bugs or weather, and barely noticing the screen. 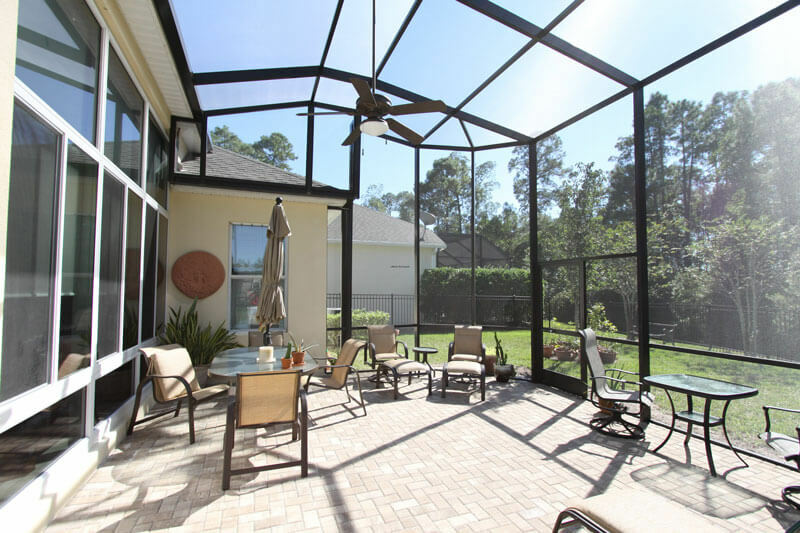 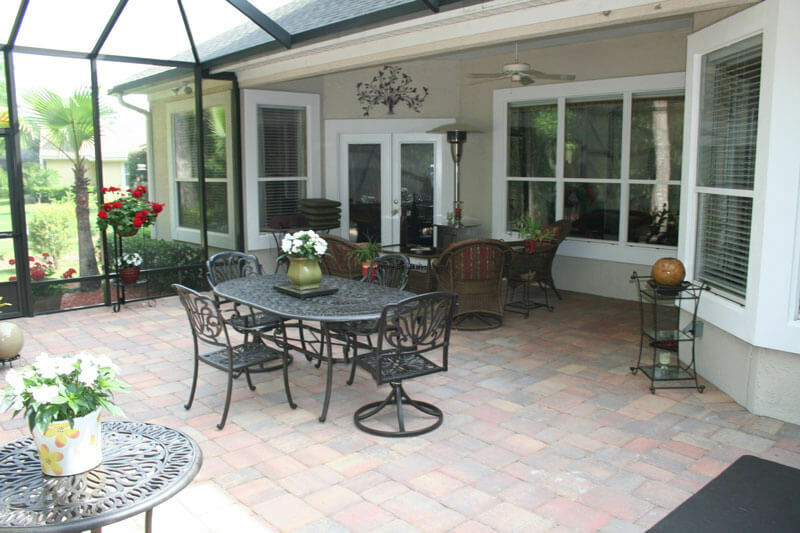 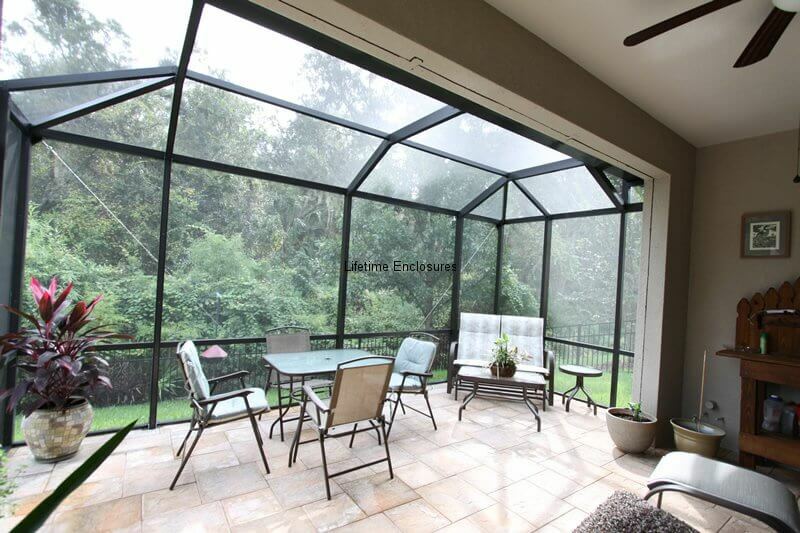 Our screens provide maximum visibility, allowing you to sit back and breathe in the fresh air flowing through your new screened patio room or lanai. 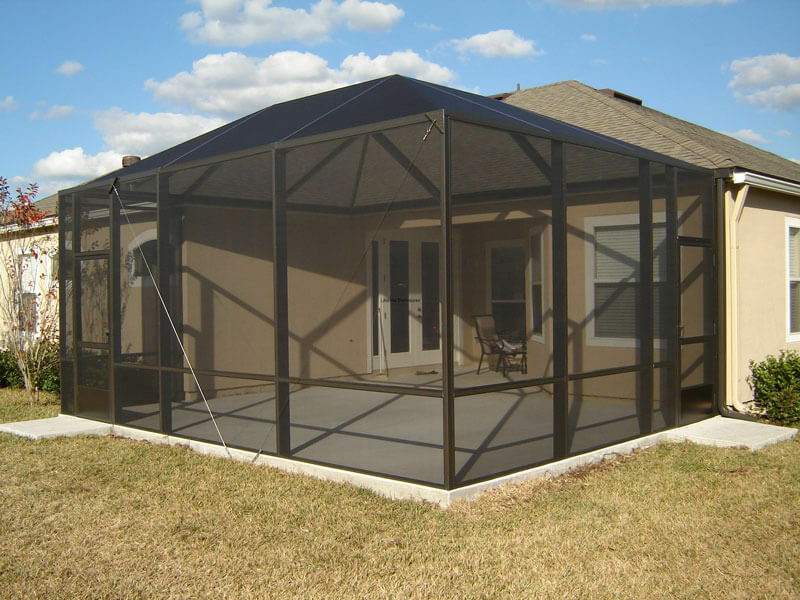 Our screened enclosures are custom designed and built using only the highest quality materials – and they’re economical and quick to install. 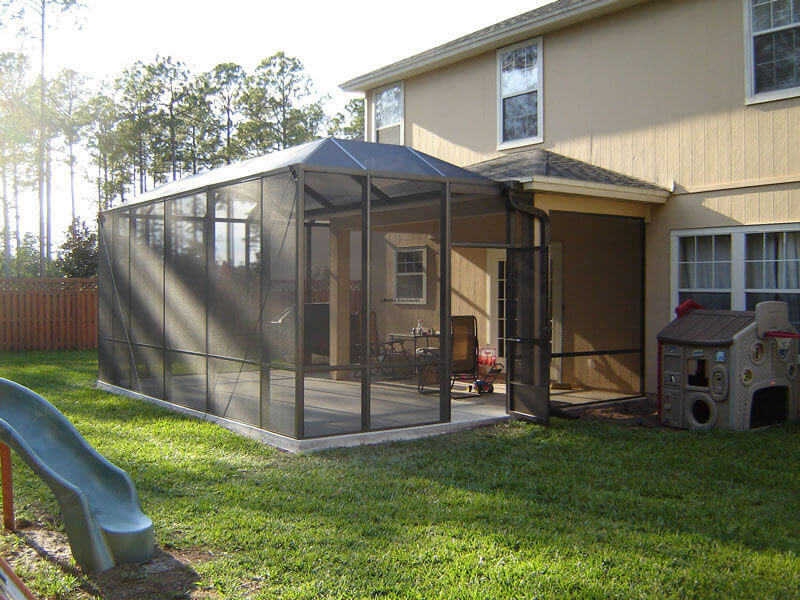 The all-aluminum framing and baked – on triple coat finish are impervious to the elements. 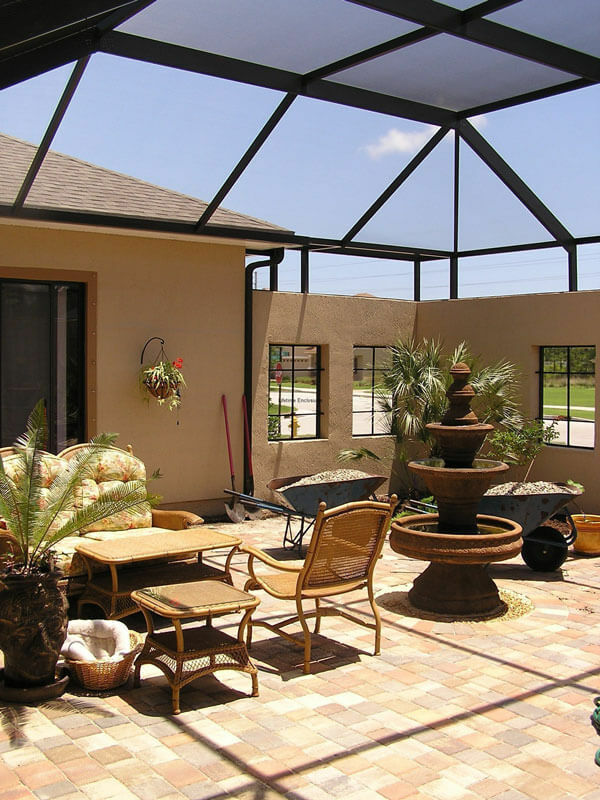 We offer an array of options from which to choose resulting in an outdoor living space perfectly suited to your needs and your home’s architecture. 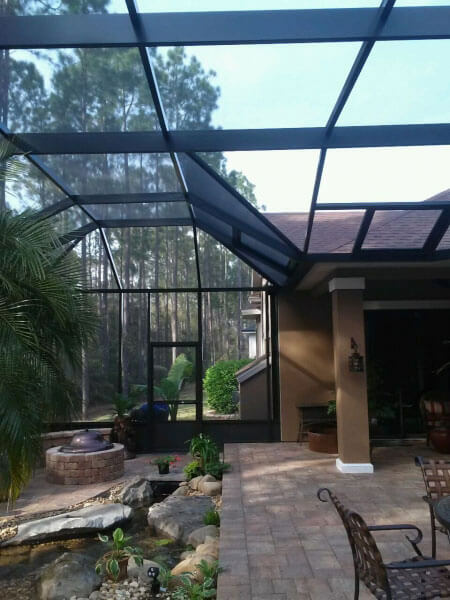 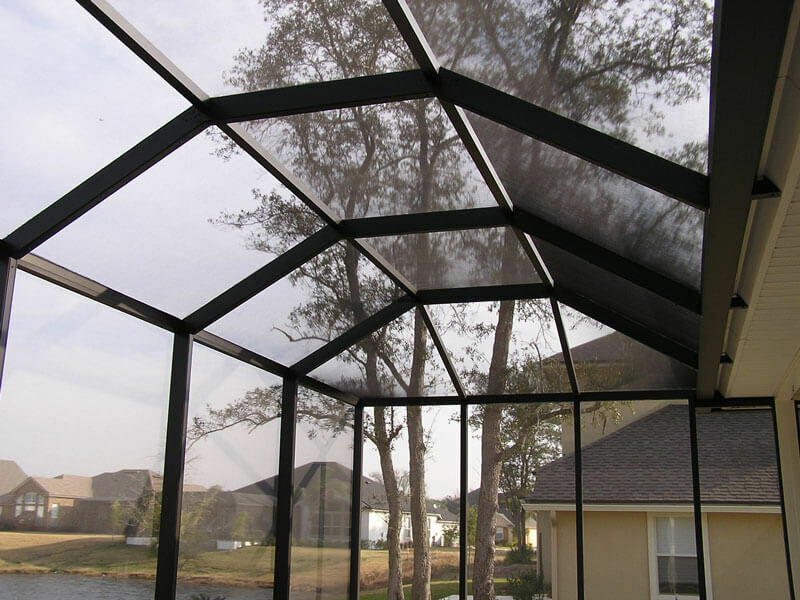 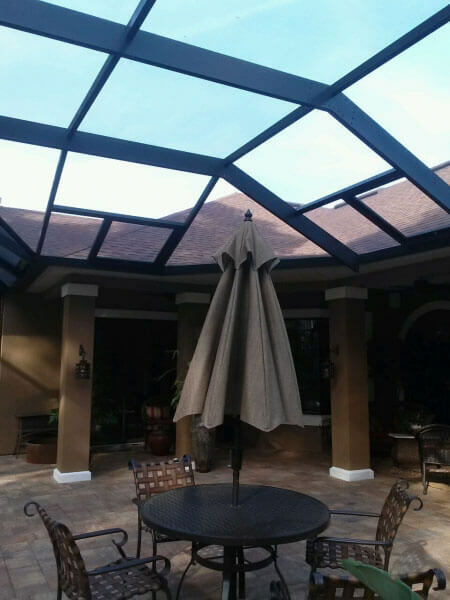 We also offer screen – top enclosures, also known as bird cages or pool enclosures, as well as composite roof screen enclosures. 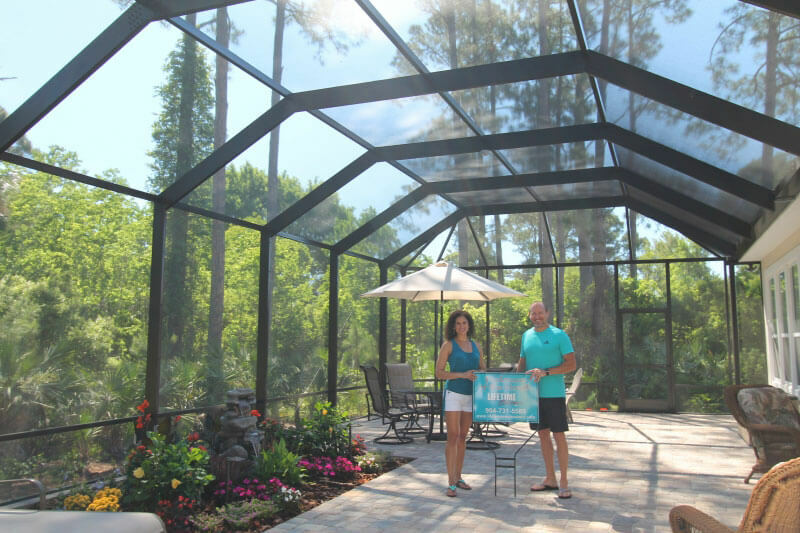 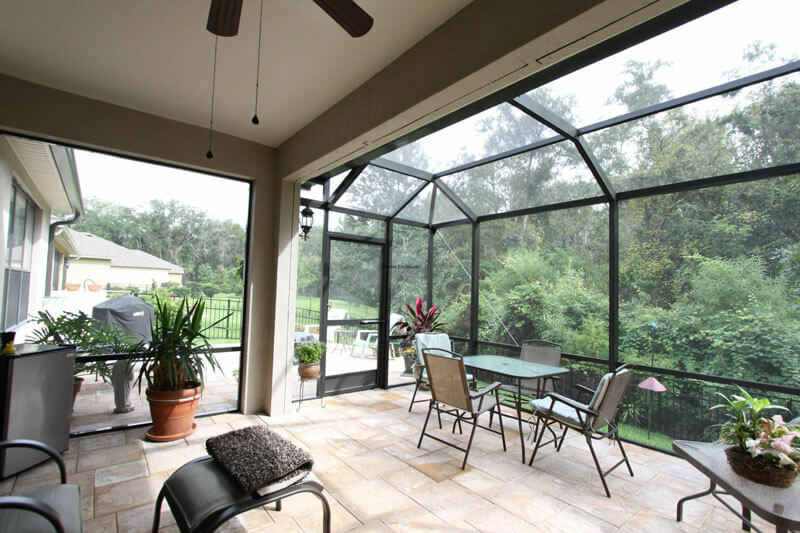 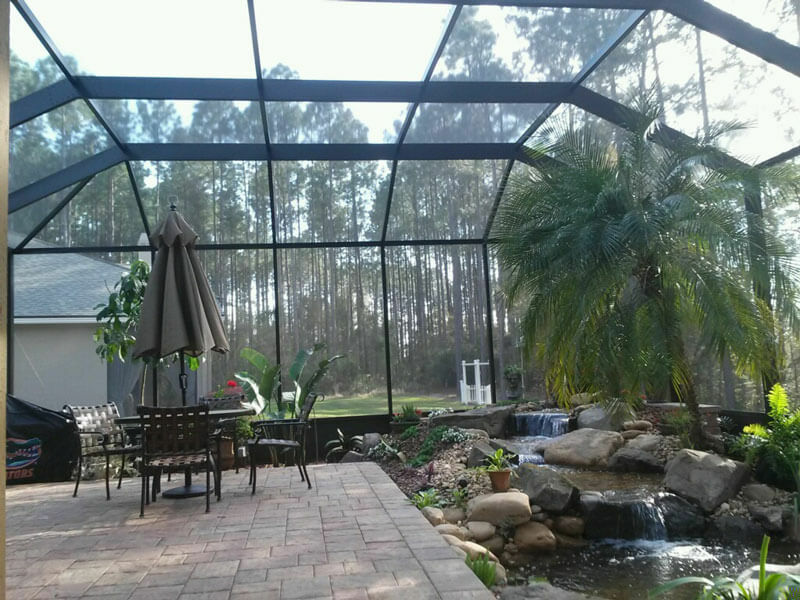 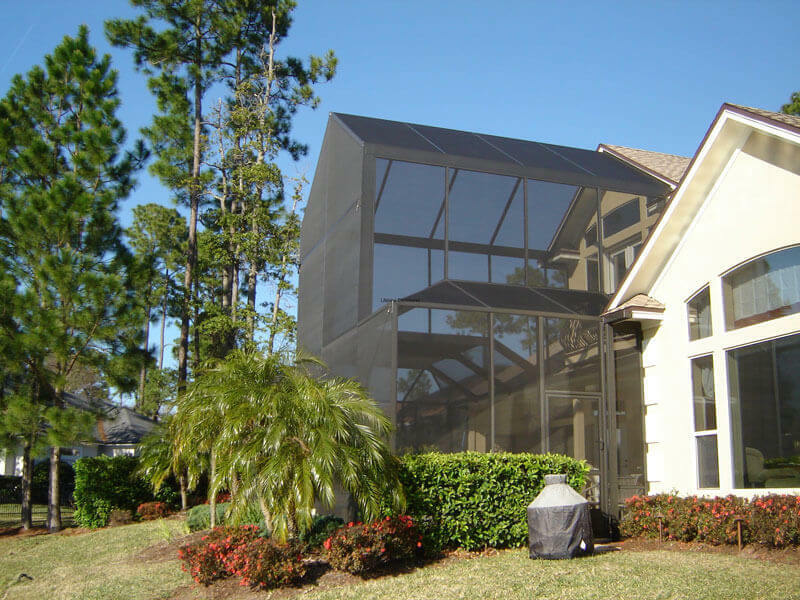 All of our screened enclosures are built with the option to have glass or vinyl windows installed in the future, converting your screened room to a year–round enclosure or sunroom. 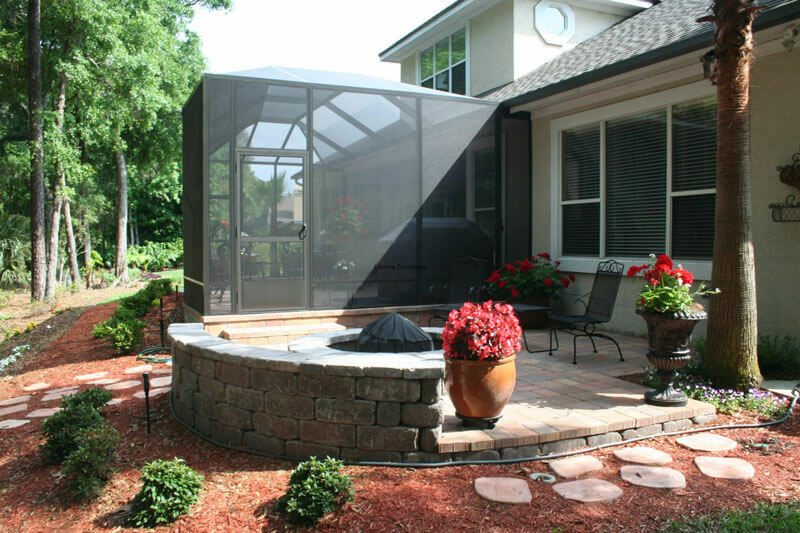 A screen kneewall gives an open and uniform look with screen from floor to ceiling. 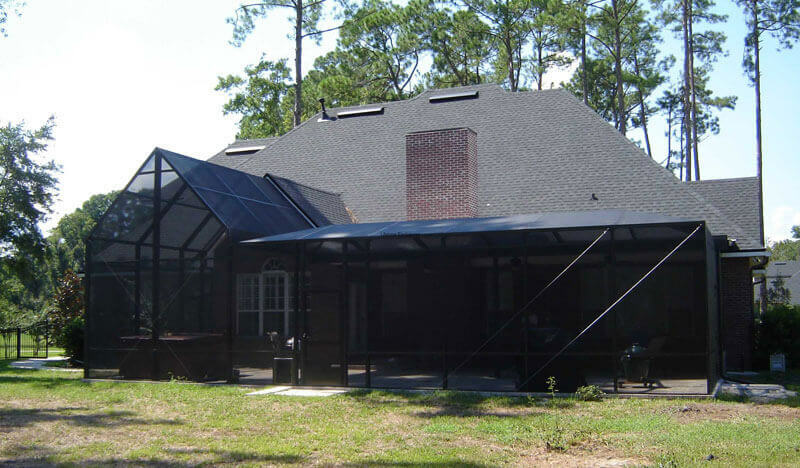 Is a natural extension to most existing roof designs. 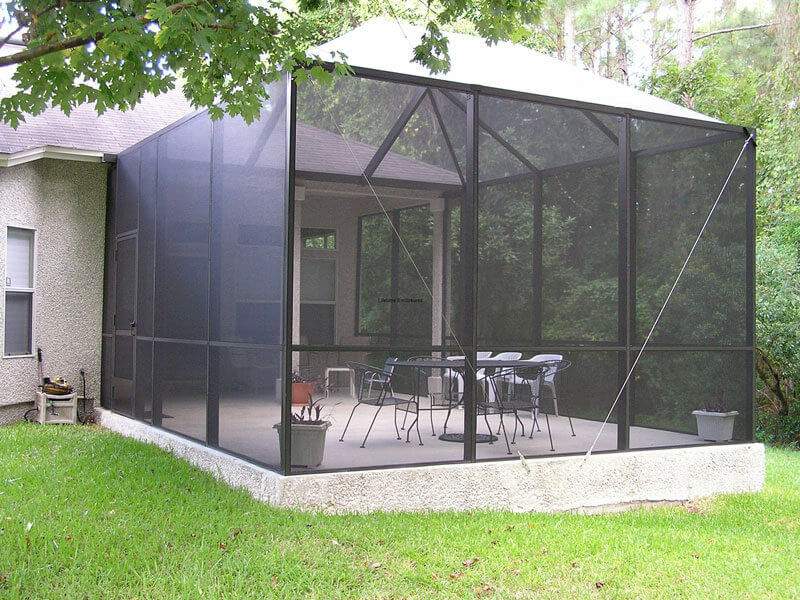 It can be modified to fit any budget while still giving a spacious gathering area. 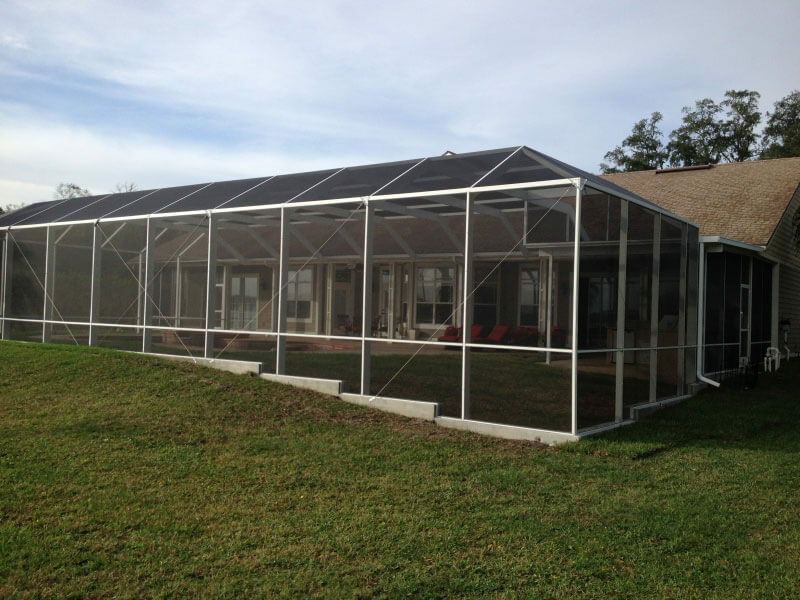 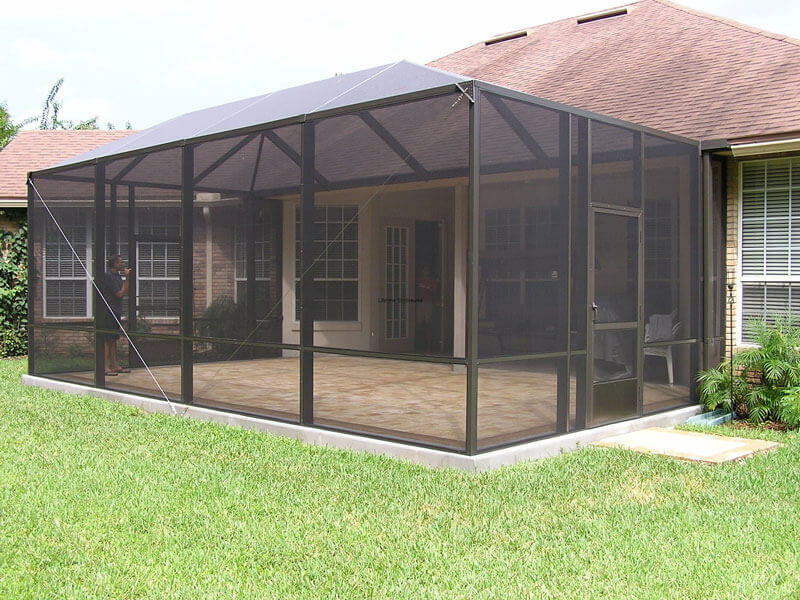 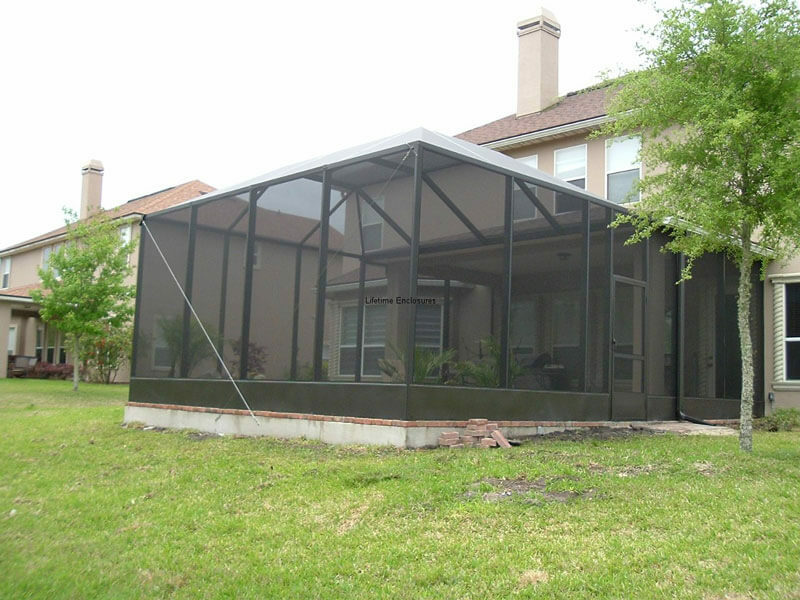 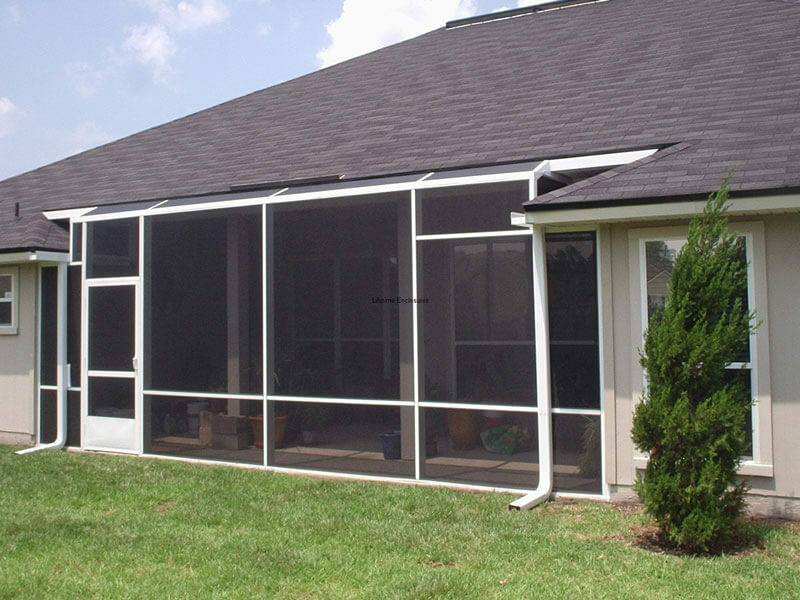 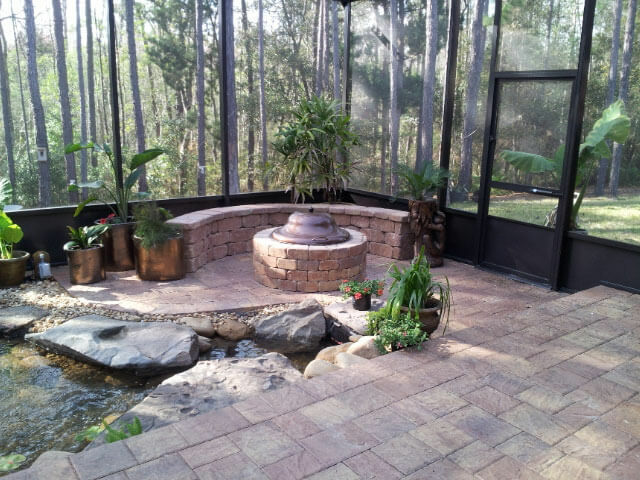 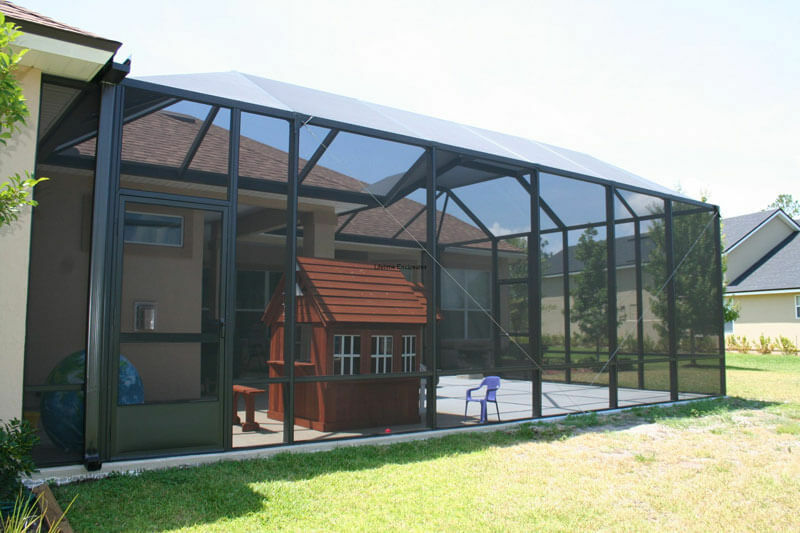 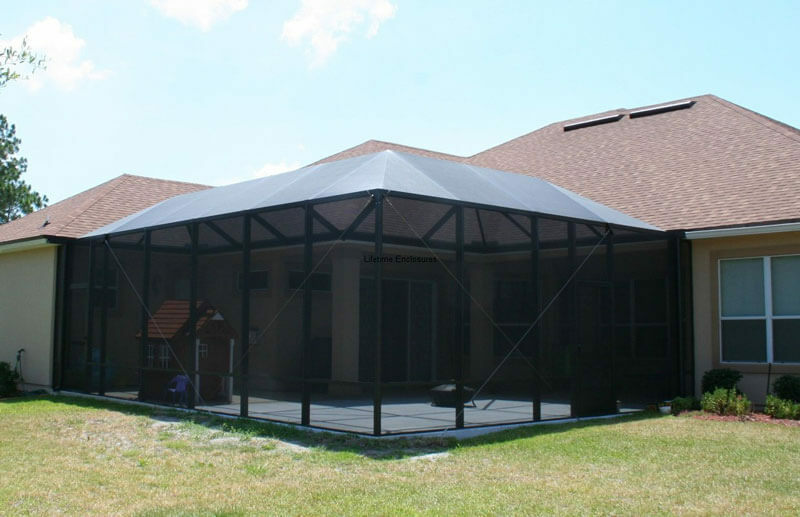 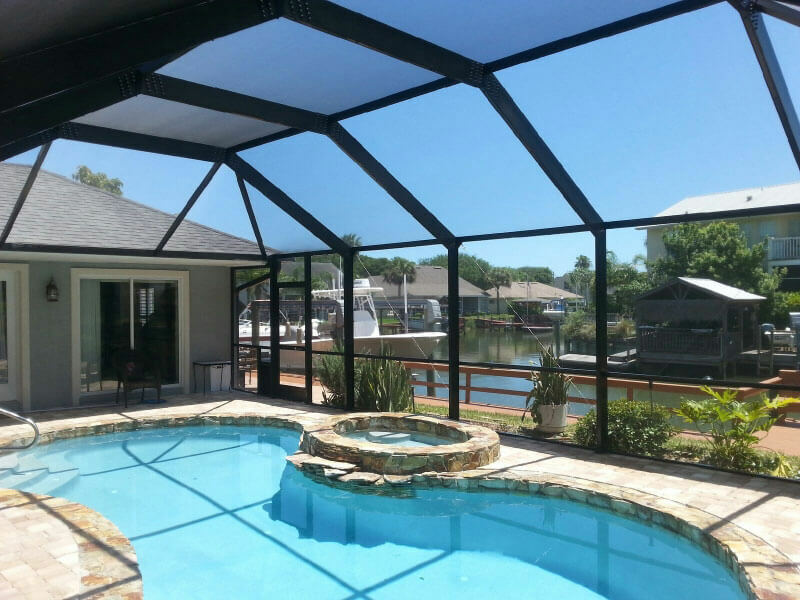 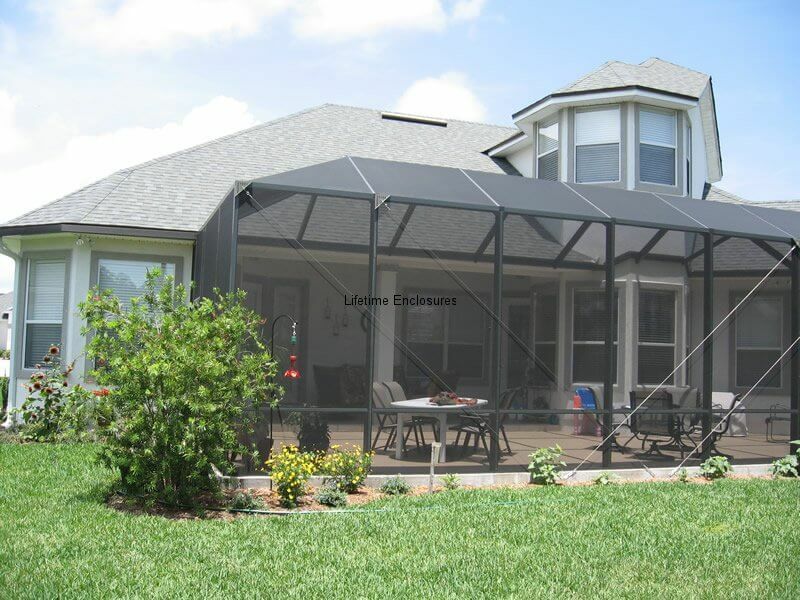 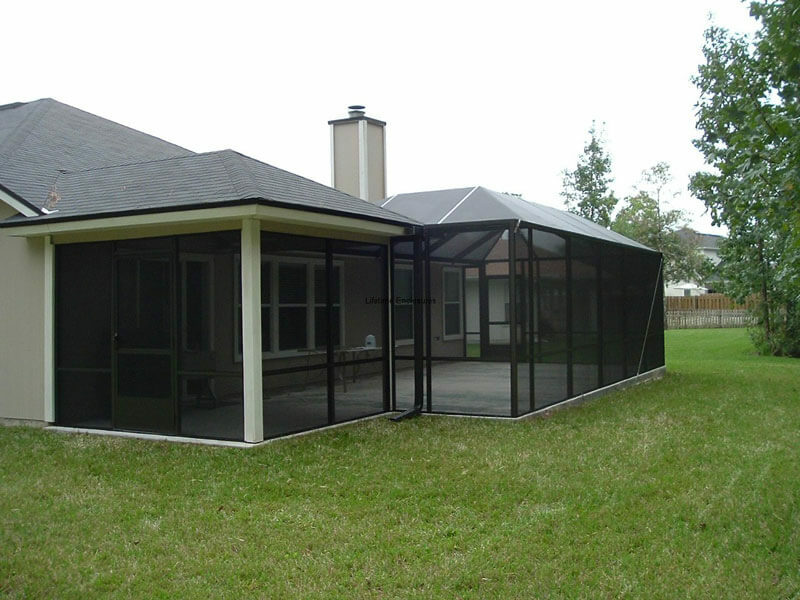 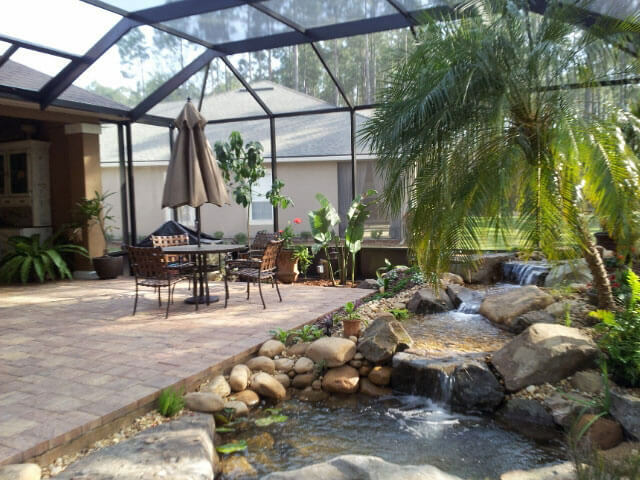 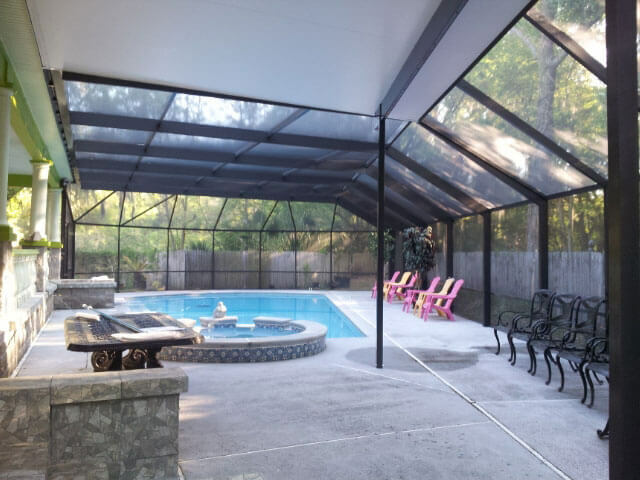 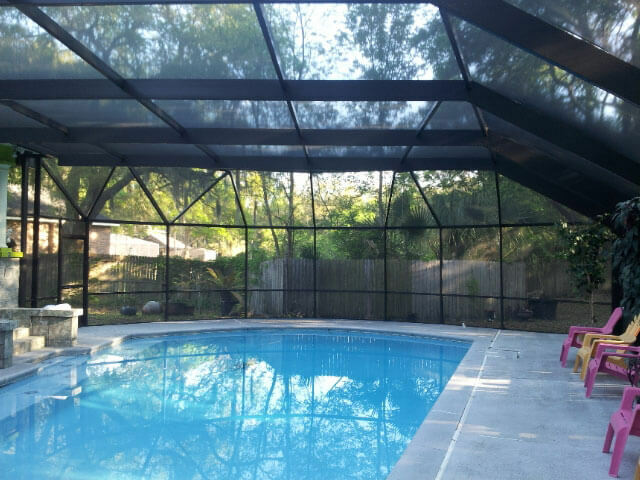 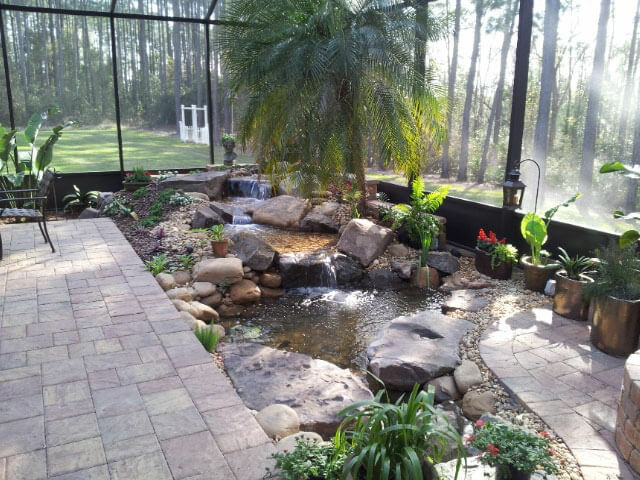 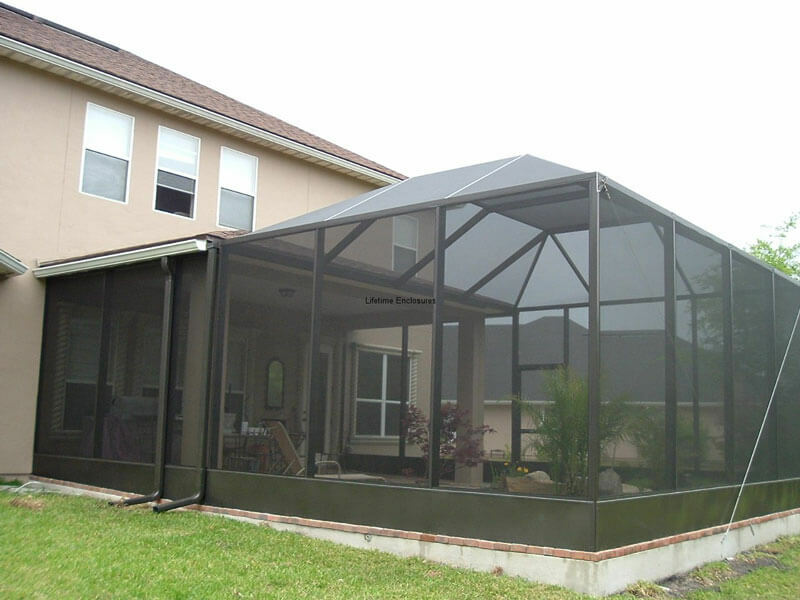 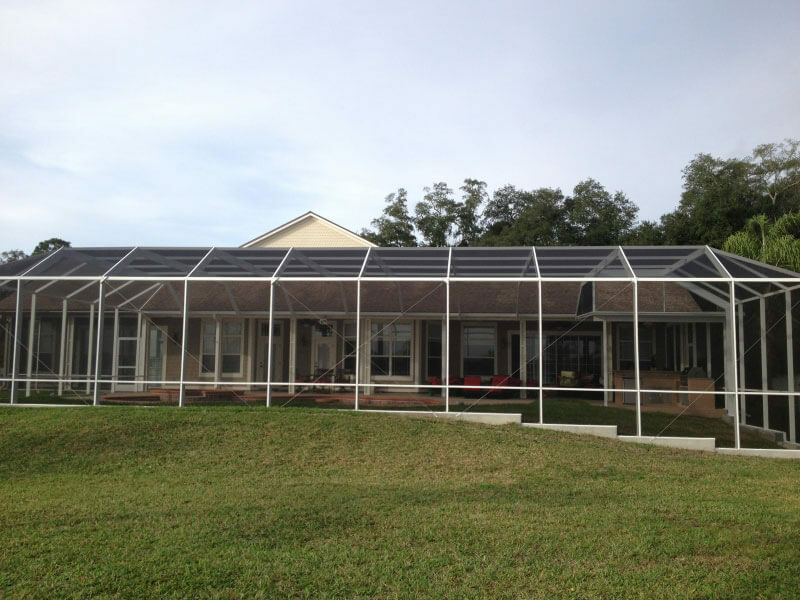 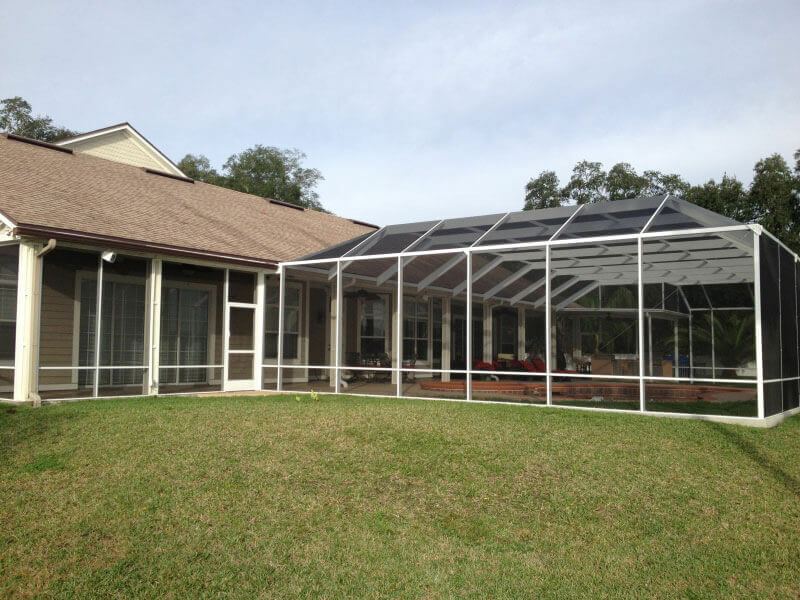 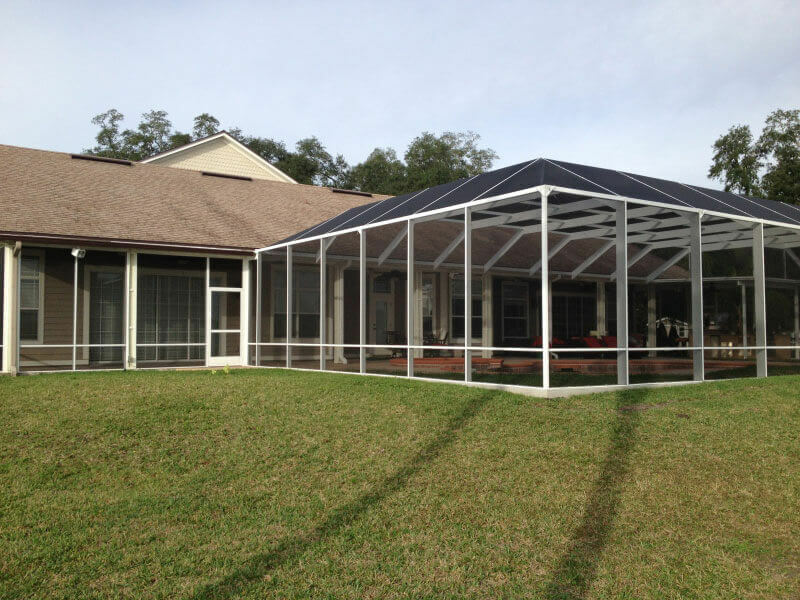 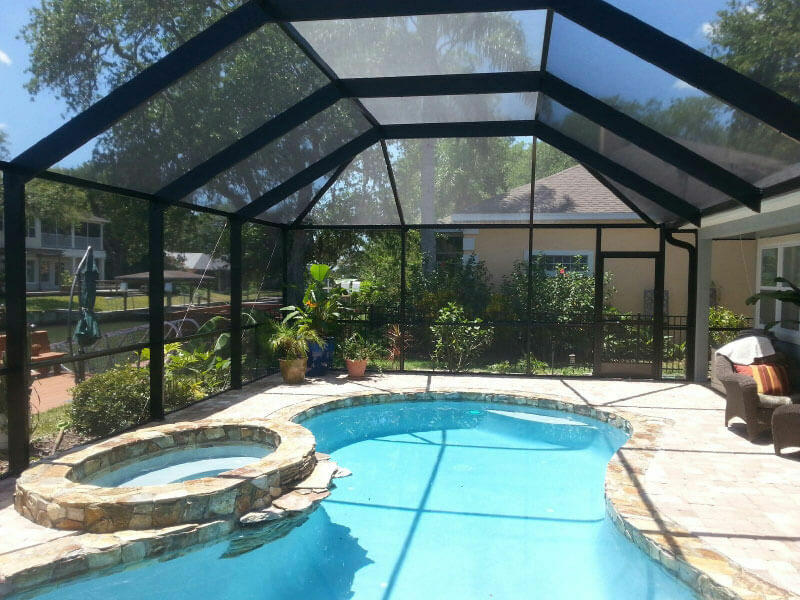 Check out our Pool Enclosure page for information regarding this style. 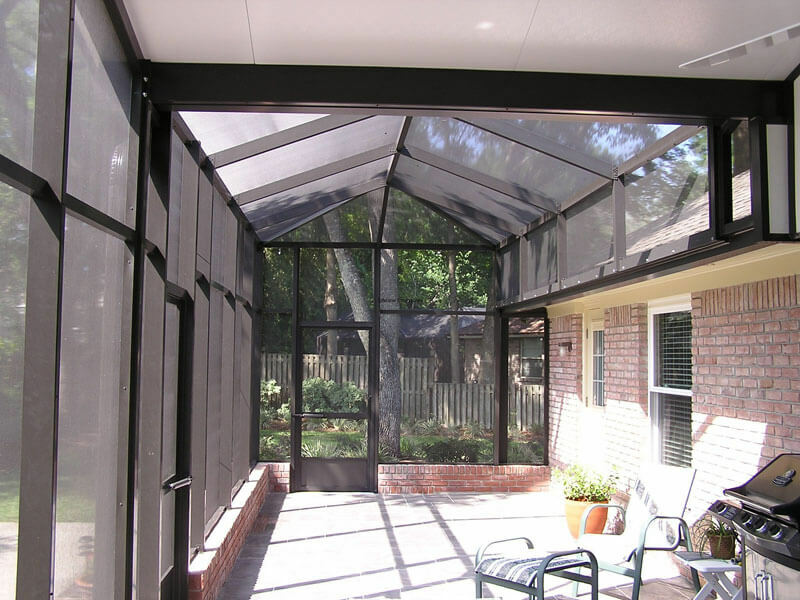 1" thick extruded aluminum framed door; including a kickplate, handle and closer. 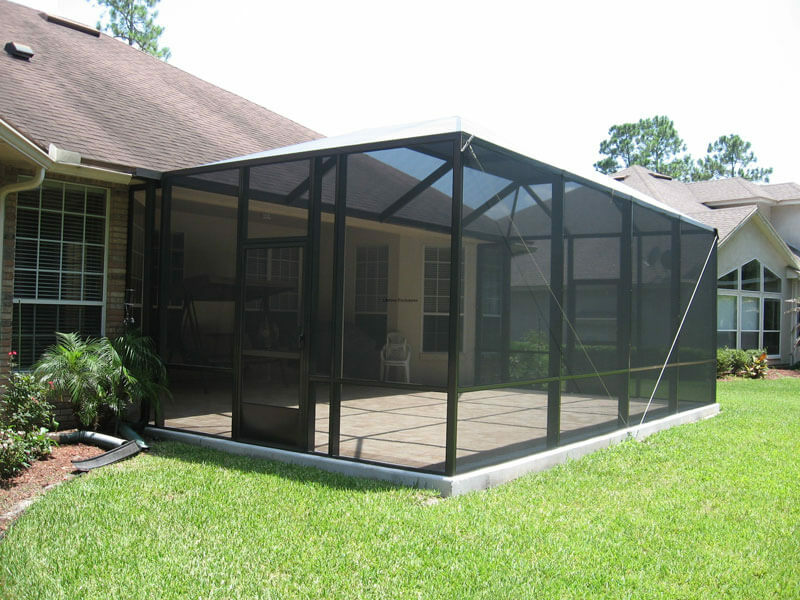 Prime-A standard door, 3’0" x 6’8", typically with a full view screen insert with a lock set. 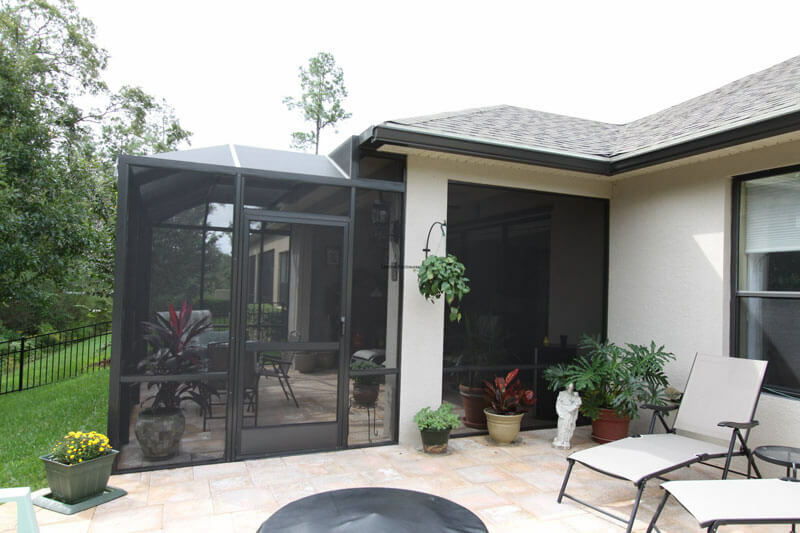 Double operating door with fixed screen which allow warm, natural light to create a comfortable space; both doors can open out or one locked in place. 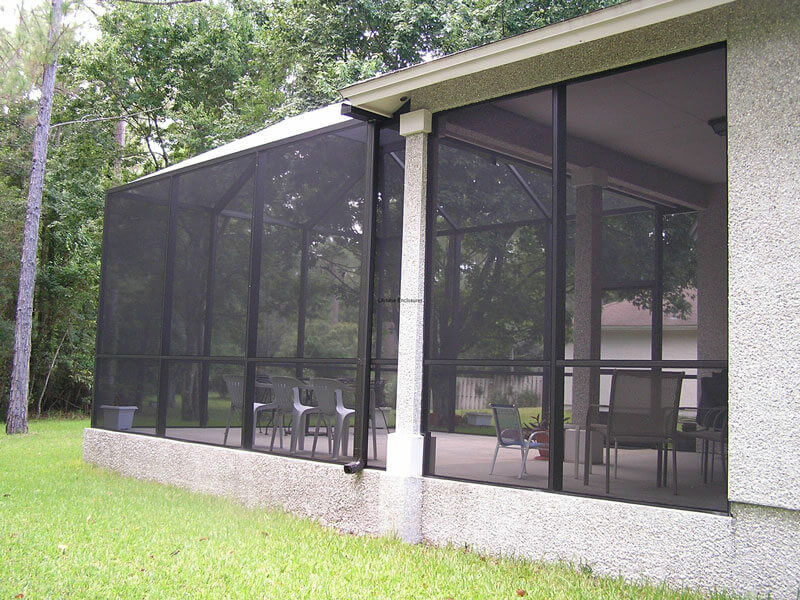 Available in multiple configurations, the most common being a two piece screen opening with one stationary and the other sliding open and close. 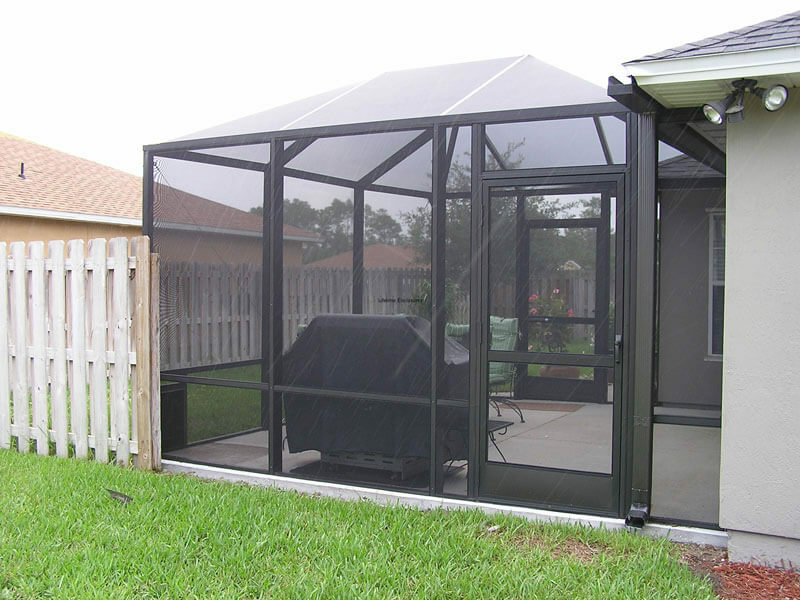 A standard door, 3’0" x 6’8", typically with a full view screen insert with deadbolt and lock set. 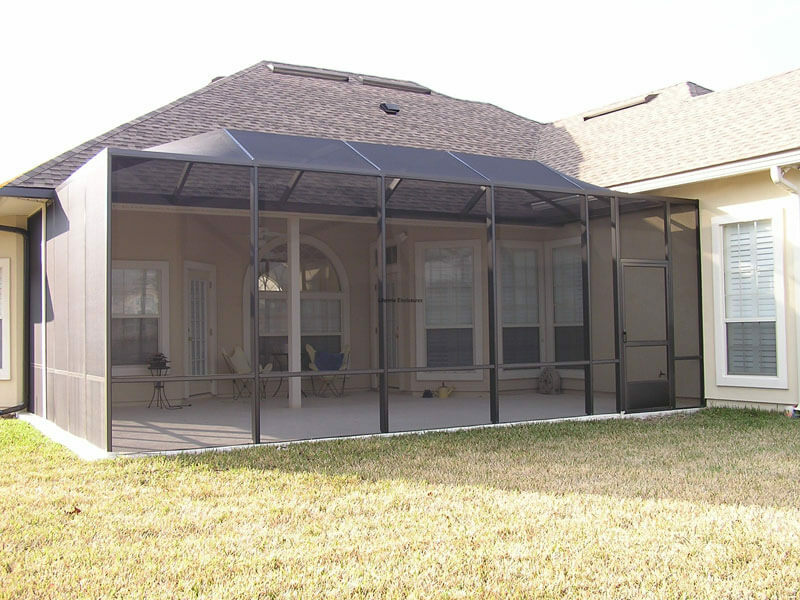 Part of the wall system with vertical pickets every 12 inches. 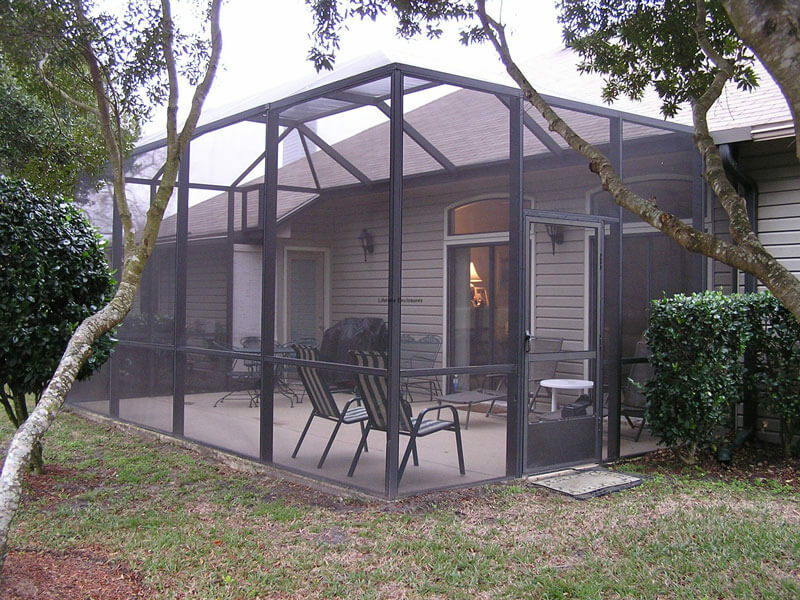 Used for 2nd stories, decks above grade or to keep small children and animals from going through the chair rail.